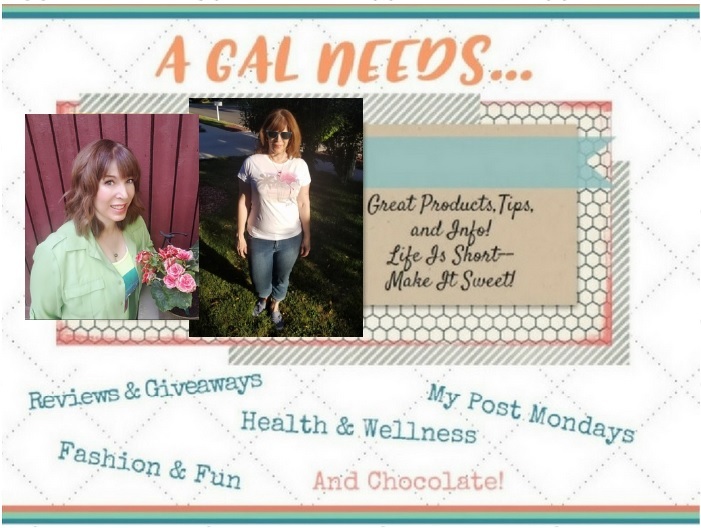 A GAL NEEDS...: Tropical Traditions Palm Shortening Giveaway! Tropical Traditions Palm Shortening Giveaway! Congratulations to #62, Eileen, who said - tweeted this! http://twitter.com/2sic2mooov/status/7104529292070912 thankyou! I think Tropical Traditions is the best place to get Healthy Oils of any kind! I've now got the chance to give away another Tropical Tradition Cooking Product. It's Tropical Traditions Palm Shortening. It is derived from Palm Oil, which is the most widely used oil in the world except the US. Palm Shortening has had some of its unsaturated fats removed, which gives it a very firm texture and high melting point. It has no trans fats and can be used for baking just like shortening! It is colorless and odorless as well. 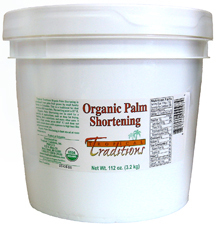 I received the gallon container of the palm shortening and I absolutely love it for cooking and baking. It is everything a shortening should be--doesn't take away from the flavors I'm using and I feel good about cooking with it because it has no trans fats! A whole gallon will last me forever! I've cooked eggs, meat and vegetables with it and add it to cookie mixes. It's great! Everything tastes so much better using it! I'm not kidding, it takes my cooking to another level. Right now through Sunday, November 21st you can get it on sale for $19.85, that's 44%off! And if you missed it this time, there will always be another opportunity. Just sign up for their newsletter for notifications on all their great sales and promotions. Visit Tropical Traditions and let me know something that really floats your boat there! Grab my button on the right side bar and put it on your blog or site! Let me know where! (+2) Leave two comments for two entries! Tell me about your most tropical experience! Would you want to make it a tradition? (+3) Leave three comments for three entries! This Giveaway is open to both US and Canada and will end on 11/29/10! 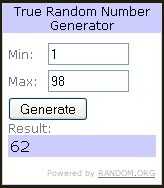 Winner will be selected by random number generator and will be notified by e-mail! Thank you so much to Tropical Traditions for keeping us healthy with your great products! I was provided product for an honest review and winner will also be provided product by Tropical Traditions! I'm interested in the Tropical Traditions coconut oil--love that stuff! Something that I really love from Tropical Traditons is their shredded coconut. I would love to try the flakes too. All in all I just really like their site. They explain why the food is so good and have educational videos. They also have tons of good recipes using wholesome ingredients! When I was a teen I went to the Dominican Republic on a mission trip. I had a blast helping with building projects, getting to know the people and trying to talk in Spanish. Seeing bananans growing and all sorts of other tropical plants was great. Eating fresh tropical food was wonderful too! My kids and I like to find something new to try when we go to the grocery store. We had fun trying star fruit but it isn't nessasarily something that I would buy again. Eating fresh coconut. We northern Minnesotans had quite a time figuring out how to get it open and use the inside milk and flesh with out spilling everything! I am a fan of TT on Facebook. I want to try to coconut cream concen. Thank you - new to site. I've been watching the book on vaccines! It's on sale this week...I might have to get it. I love their unscented moisturizing lotion. It has replaced face lotion and body lotion for our family! I love getting TT newsletter! I was able to live in Hawaii for 10 months when I was in Youth With a Mission. So beautiful there!!!! Being in the tropics, you get used to the daily afternoon rain. But it's warm! In Vietnam on a missions trip, I got to ride an elephant. It was wild. The elephant's hair on the top of its head is very stiff and scratchy. It snagged my shorts dreadfully, and I've never been able to throw them out! They're a cheap souvenir! I like and use both the Virgin Coconut oil and the expeller-pressed coconut oil. I'm a Tropical Traditions subscriber! I'd like to try the Coconut Oil for cooking since it is good for you! I have been wanting to try their coconut oil for the longest time! Follow Tropical Traditions on Twitter! Organic Lip Moisturizers looks good to give it a try. Oh my gosh those pictures of pumpkin breads look sO good on their site! Id really love to try any of their products but would love to try their coconut OIL! My most tropical moment was taking a trip of a lifetime to Jamaica with some other moms and being able to relax without kids. I have never been pampered like that before! We had someone cook us Key Lime Pie and we got to rest and read by a pool with the sea just beyond this. and didnt even cost much because one of moms had family that owned the place! following Tropical Traditions on Twitter! Already a Tropical Traditons newsletter subscriber! I really want to try their swiss chocolate... I'd also like to try the palm shortening. I would also like to try their coconut oil--I've heard so many good things about it. I subscribe to the Tropical Traditions newsletter #2. I love the coconut cream concentrate and the peppermint moisturizing cream. 1-My most tropical experience was going to Hawaii with my college roommate and two other friends. We visited the beach, pineapple plantation, Polynesian Culture Center, Pearl Harbor exhibit, etc. It was lots of fun. 2-My most tropical experience was going to Hawaii with my college roommate and two other friends. We visited the beach, pineapple plantation, Polynesian Culture Center, Pearl Harbor exhibit, etc. It was lots of fun. 3-My most tropical experience was going to Hawaii with my college roommate and two other friends. We visited the beach, pineapple plantation, Polynesian Culture Center, Pearl Harbor exhibit, etc. It was lots of fun. The Coconut Oil would be great for cooking! I would love to try their swiss chocolate.